The Lagos State University, LASU Center for Entrepreneurial Studies hereby invites application from candidates for admission into the Fisheries & Aquaculture Empowerment Programmes.  ND, NCE, HND, University Degree.  SSCE with relevant experience may be considered. 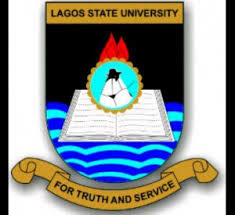 Application Form is obtainable from Lagos State University Website: www.lasu.edu.ng on the payment of Five Thousand Naira (N5,000.00) only, as application fee through this link: http://studentservices.lasu.edu.ng/fis_application/newstudents/index.php. NB: Field Trip(s) shall be paid for separately from the approved school fee. We are LASU, We are proud, UNIVERSITY MANAGEMENT …Beginning of a New Dawn.